“It is the practice for public servants and high-ranking government officials to exercise the discretions under the powers of their office to enrich themselves through the use of front companies, fake names and names of close associates and even deceased family members. It is my refusal to do this but to comply with the criteria approved above that became the kernel of the elite anger against me. I am not a hypocrite. I will not allocate a plot of land to my wife under a fake name. If she applied for plot and meets the criteria approved by the FEC above, I will approve the allocation and that is what I did. In all, I approved the allocation of land to over 27,000 applicants that I do not know, yet I am expected to exclude those that I know. That is hypocritical. Any one that is qualified and entitled to land should be allocated.” - responded the former minister of the federal capital territory in the person of Nasir El-Rufai concerning illegal allocation of land to his wives and relatives hanging over his head that has been valued at over N2billion. However Ukpakareports.com has learnt through documented evidence of Nasir El-Rufai's not so innocent travails with Nigeria's public property domiciled in Abuja while he held sway at the office of the minister of the federal capital territory. This, our correspondent gathered, occurred while the former minister simultaneously in a stellar manner championed the cleanup and management of Abuja into resembling a befitting capital city. While dutifully executing his tasks as the FCT minister, Nasir El-Rufai found himself dipping his interests in and out of the FCT kitty in a manner depicting an unapologetic fraudster. The information which has now become public of the way he illegally revoked lands earmarked for use by the Power Holding Corporation of Nigeria [PHCN] and the Nigerian Postal Services [NIPOST] – and allocated them to his wives, relatives and friends, has surged a new pitiable dimension for the former minister. This is as official letters written to the former minister warning him that his actions amounted to a breach of the Abuja master-plan – and thus against applicable laws [Section 19 and Section 26 of the Corruption Practices and Related Offences Act 2000]. Nasir El-Rufai through a scheme which was conceived by him, Altine Jubrin and Ismail Iro – proceeded to reallocate these plots of land to people of their choice in the believed that their scheme was airtight. The plots which are labeled as 3375 to 3384, 1196 and 1198 to 2000 were to be reserved for a 132/33KV transformer station but Nasir El-Rufai and his two partners allocated them as they wished to Hadiza Ahmed El-Rufai [Wife], Asia Ahmed El-Rufai [Wife], M. Oil Limited, Philip Dauda, Saida Samaila, Iyabo Obasanjo-Bello, Jamaila Alhassan and Bello Sani. The NIPOST land was reallocated to System Property Development Consortium Limited [SPDC]. 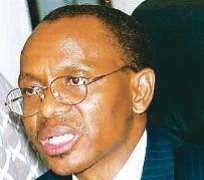 Following what legal experts deemed illegal revocations and reallocations, Nasir El-Rufai then charged the Director of Engineering Services – Federal Capital Development Authority to begin the installation of basic facilities to enable his wives, relatives and friends to begin infrastructural development. The basic facilities included installation of water pipelines, electrical lines, roadways and etc. To this end, Julius Berger Nigeria PLC was contracted to carry out the work. And it was through Julius Berger's work onsite that it discovered the breach of the Abuja master-plan. This, it highlighted in its letter to the Director of Engineering Services – Federal Capital Development Authority via Engr. Mrs. Elizabeth Oricha dated January 26th 2007 with reference ACD-D61-174/MSp and signed R. Jonas and H.Muller-Spath.